The earth is made of sand, stone and water that make up the landscapes. These inspire my work, evoking vistas and visions that define the sense of place. 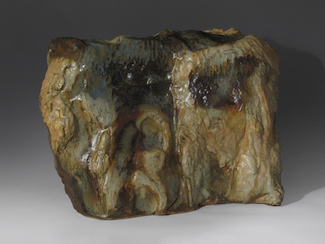 In addition, these landscape components also make up clay which can be turned into natural forms again through the artistic process. The special geological features of the world, particularly mountains and large vistas, are a strong source of inspiration. Recently, other natural components of nature, i.e. rivers and vegetation, are making their way into my work. Perhaps the current environment is making these other parts of nature also more important. Each new form is inspired by some natural structure or idea, whether it is sculptural or functional. Each work is built on a memory of form or other ideas and impressions, many based on travel and experience with the actual place. My work has been shown in group shows in four regional museums and over 20 other regional group shows around the country. 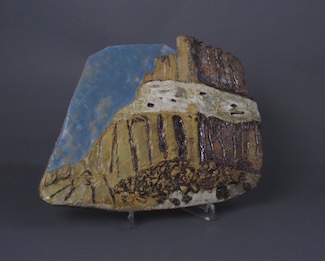 It was also recognized at the NM State Fair (ceramics) in 2010 and is in collections at the Burrell College of Osteopathic Medicine, Las Cruces, NM, and the University of Texas at El Paso, College of Science. I hold a Certificate in Ceramics from the Santa Fe Community College and a Ph.D. Chemistry, NMSU.